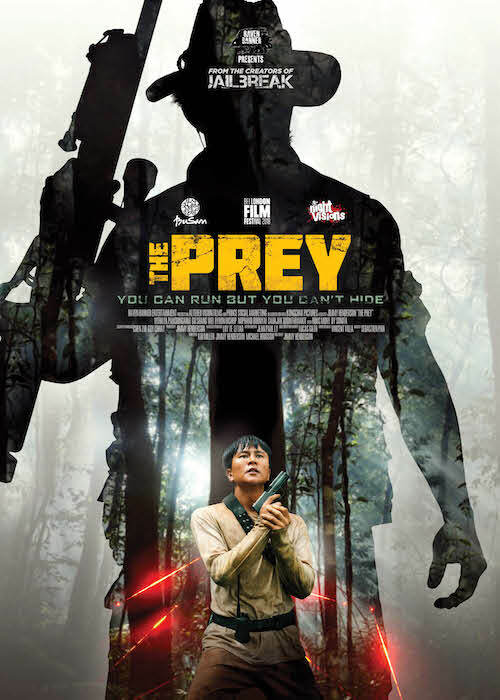 Undercover Chinese cop Xin is on a secret international mission when a surprise raid puts him in a remote jungle prison that plays by its own rules. Here, the visitors are wealthy thrill seekers. The guards are hostile puppet masters. And the prisoners are simply pawns in a high stakes game of human hunting human. It started as just another bad day for the do-gooder cop. That day gets a whole lot worse when the diabolical Warden singles Xin out for death at the hands of affluent hunters looking for the world's ultimate kill. After years of hunting down ruthless criminals, Xin suddenly finds himself running for his life. If Xin manages to survive this sadistic game, he'll walk out of the jungle the same way he came in: as a free man. If Xin fails, he's dead meat - and just another hunting trophy. a lean, mean bit of pulp entertainment that will most definitely satisfy fans of the genre.